Day 01: Arrival and transfer to hotel & Welcome dinner. Day 03: After breakfast, departure transfers to the airport for flight to Pokhara. Check into hotel after arriving at Pokhara. Rest of the day at leisure. Day 04: After breakfast, half-day sightseeing tour of Pokhara. Return to hotel and after lunch, 1-hour boat rides on the Fewa Lake. Day 05: After breakfast. Transfer to Chit wan by road. Check into lodge/resort/camp. Jungle activities after lunch. Day 07: After breakfast, either departure transfers to Bharatpur airport for flight to Katmandu or overland transportation to Katmandu. Arrive in Katmandu and check into hotel. Day 08: Half day sight seeing at Bhaktapur Durbar square and transfer to Nagarkot. Overnight at Nagarkot. 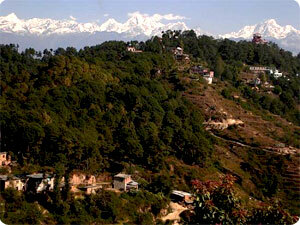 Day 09: After enjoying the view of sunrise over the Himalayan, leave for Katmandu. After lunch, leave for half-day sightseeing tour of Katmandu and Patan Durbar Squares & farewell diner.